The World Series of Poker main event in 1999 grew by 43 players to 393 total, thanks in large part to a strong economy in the United States. 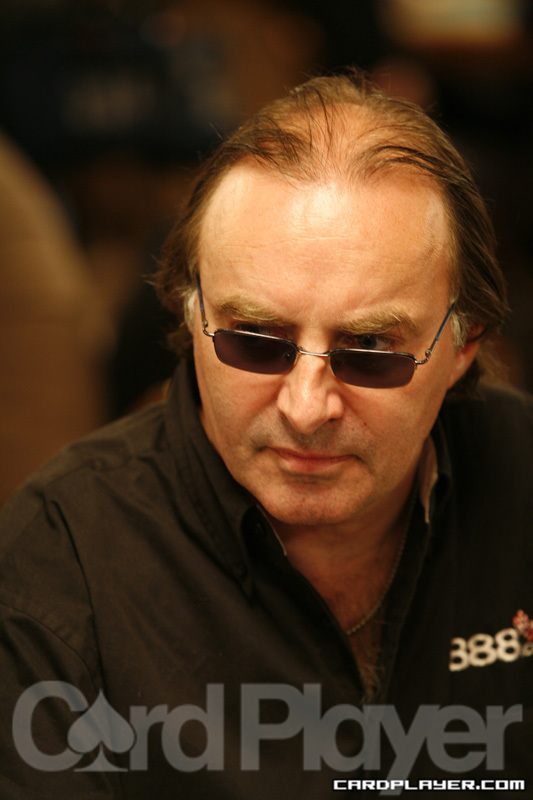 Paul “Eskimo” Clark ($1,500 razz), John Esposito ($2,500 limit hold’em), David Grey ($2,500 seven-card stud), Tom Franklin ($2,500 limit Omaha), Josh Arieh ($3,000 limit hold’em), Mike Matusow ($3,500 limit hold’em), Layne Flack ($3,000 pot-limit hold’em), and Mike Wattel ($1,500 Omaha eight-or-better) were the professionals who came up big in the preliminary events that year, and every single one of them was an American player. Most of them, in fact, were from the Las-Vegas area. The main event would have a decidedly more international flavor, though. Noel Furlong almost didn’t come to the WSOP in 1999. The three-time Irish Open champion had to be convinced by Terry Rogers, the man who created the Irish Open tournament in 1981 after he was inspired by the WSOP. Once Furlong was in Vegas and at the Horseshoe, he played an aggressive style from day 1 that made him a massive chip leader at the end of day 2 with half a million to his name. He turned that large stack into a run that took him all the way to the final television table of six still holding the lead. The final six that year was an impressive collection of players from all over the world. Furlong was joined by fellow Irishman Padraig Parkinson and Swiss businessman Chris Bigler to make the Europeans contingent at the final table. 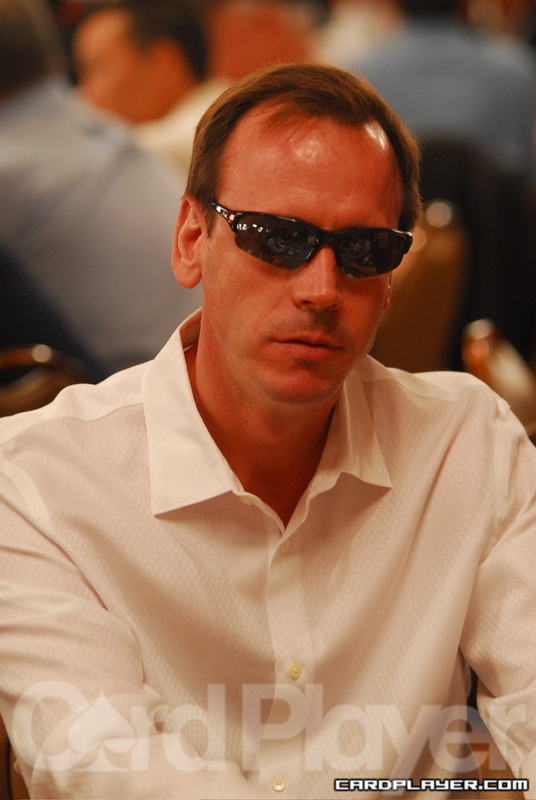 Those three were joined by Huck Seed, Alan Goehring, and 1988 main event runner-up Erik Seidel. Seed was the first to make an exit when he limped into a pot for 20,000, and Furlong raised to 100,000. Seed reraised all in for the last of his chips, and Furlong pulled the trigger and made the call. Seed held J 8 , and Furlong held A 3 . Things went from bad to worse for Seed when the flop was dealt A-Q-3. The turn and river fell with no consequence, and Seed was out in sixth place. Goehring had proved on numerous occasions to be the kryptonite of Seidel in 1999. He stole 500,000 off of Seidel the day before, and he stood in Seidel’s way once more at the final table. Seidel bet 60,000, and both Goehring and Bigler made the call. The flop was dealt 8 6 2 and all three players checked. The J fell on the turn and all three players checked again before the river brought the 5 . Goehring bet 150,000, Bigler got out of the way, and Seidel decided to move all in for his last 164,000. Goehring made the call, and Seidel showed down A-Q for ace-high, which was good enough to double up over the bluff of Goehring, who held Q-10. Bigler was the next to fall when he ran a set of nines into the nut straight that Furlong had flopped. Bigler busted in fifth place and action continued four-handed. A preflop battle then escalated rather quickly when Parkinson raised to 60,000 and Seidel reraised all in for 400,000 preflop. Parkinson had Seidel dominated with A-K over A-Q, and the board was dealt Q-3-3-K, with a brick on the river to eliminate Seidel in fourth place. The even chip stacks for the final three players did not prevent the men from keeping things very aggressive. It looked like Goehring might be the early victim of such wild play when his stack dwindled by a full million to his opponents. But he doubled up with pocket kings against the pocket tens of Parkinson, and then he doubled up again. This time, he was holding the pocket tens against Furlong, who held A-Q. This rush combined with a few more pots took Goehring up to 2 million and into the chip lead. The first major clash between the Irishmen came next, when Parkinson raised to 70,000 preflop and Furlong called. The flop was dealt 6 4 2 , and Parkinson pushed all in for his final 617,000. Furlong thought for a couple of minutes, and then he eventually made the call. He turned up A 8 , which had the flush-draw of Parkinson, who held Q 10 , dominated. The flush failed to connect for either player, and Parkinson was eliminated in third place.